Crop dusting. 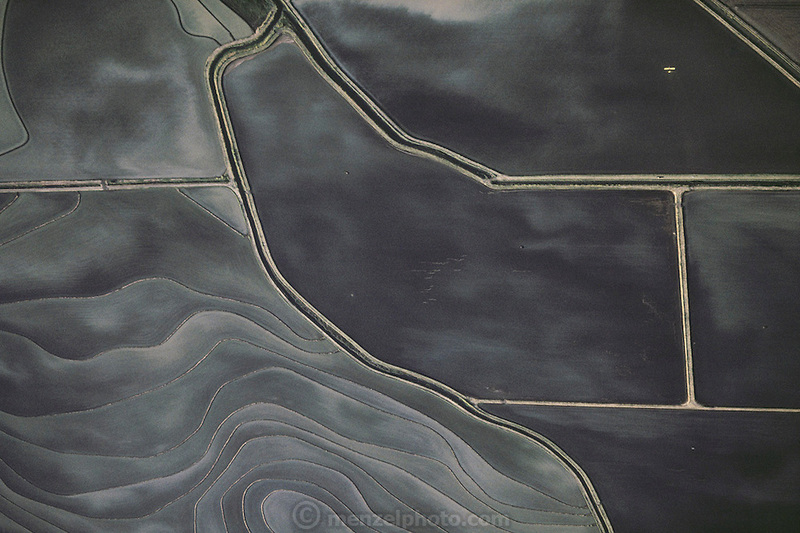 Seeding rice fields in Richvale, California, USA. Laser leveled fields. Seeding by airplane.